Work is also in progress to develop a graduate programming in Interfaith Leadership for the Professions. We are currently seeking funding for this project. If you are interested in our work, please contact Director, Barbara A. McGraw at bmcgraw@stmarys-ca.edu. To prepare more ethical and effective leaders by joining interfaith understanding and leadership theory with inclusive practice. To increase critical appreciation and empathic concern across religious differences. To encourage appreciation of the world’s religions as resources for wise leadership. To address specific interfaith leadership challenges and opportunities in various settings. 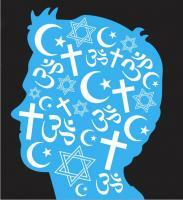 To develop leaders’ ability to promote religiously inclusive policies and practices.